Well this is a surprise, looks like the new E-Series is being released in the US as well, and it appears the same strategy is being used as with the older E-Series. The US E-Series is the NWZ-E35x and the European model is the NWZ-E45x. I am not sure what the exact difference in the new model is but apparently there is one different icon on the US version which is not on the European version, and it appears this icon is the playlist icon which means the recording features of the European E-Series have been removed. According to the US SonyStyle website, it appears the E35x will have a USB-port rather than a WM-port. The new Sony Walkman models feature outstanding sound quality, advanced audio technologies, extreme battery life and more – all at affordable price points. It supports up to 50 hours of audio playback (mp3 files at 128 kbps) and 10 hours of supported video playback (WMV at 384 kbps). The unit utilizes Sony’s own “Clear Audio” technologies, for clear, deep sound without distortion. The model also comes equipped with Content Transfer Software, enabling simple transfer of music and video files straight from a PC or iTunes™ library (not including DRM files). The player features Sony’s SenseMe™ technology, which automatically categorizes music tracks in a connected library into a variety of music channels and playlists. It also has a brand new user interface with such features as “Album Scroll” and “Scene Scroll”, enabling quick and easy content navigation. It includes a “Bookmark Function” so listeners can create playlists on-the-fly while listening through songs from their music library. Simply bookmark a song while it’s playing to a custom, user-generated playlist. Supported audio formats for the new player include MP3, WMA (DRM), AAC (non-DRM) and linear PCM, and supported video format is WMV (DRM). 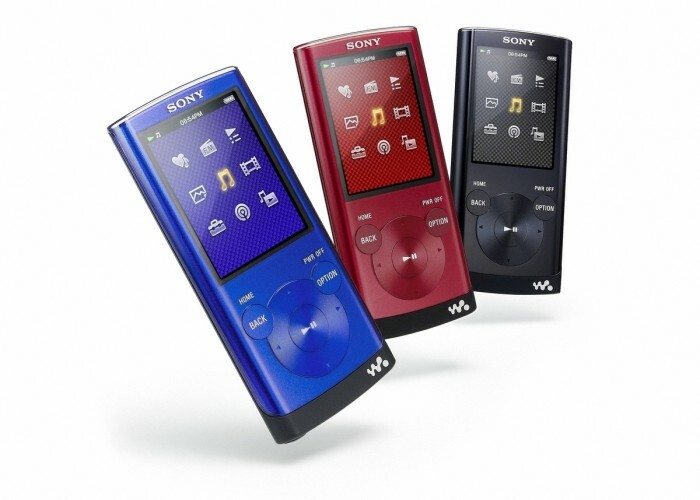 The Sony E Series Walkman will be available next month for about $70 for a 4GB memory version, model NWZ-E353, and $80 for an 8 GB version, model NWZ-E354, at www.sonystyle.com, Sony Style retail stores and other authorized retailers nationwide.